The casino was established in 2011 and is under the administration of Prime Online Limited. 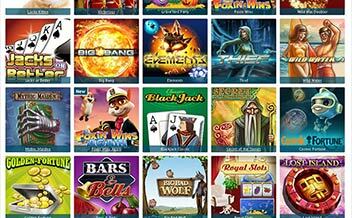 The casino offers a wide variety of online casino games, with a vast list of online slots. The casino is licensed under Malta and the United Kingdom jurisdictions, therefore players can be assured of a secure and legit online casino experience. The casino is also accessible on desktop and mobile devices. Since being established over 7 years ago it has surely ensured a good gaming experience for players. 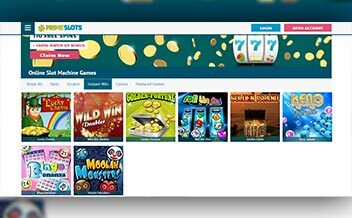 Having the best gaming providers like NetEnt have ensured players have a sense of adventure while playing online slots since each slot game has a different theme. Players can, therefore, join the casino and expect an amazing gaming experience. Prime Slots Casino offers a variety of progressive jackpot games to guarantee players a good cash out and a good gaming experience. Some of the progressive jackpots have made over €50,000. Some of the progressive jackpot games offered include; Jackpot Jester and Wild Nudge. The casino offers over 150 slot games. As the name suggests the casino slots games list is impressive to ensure that every players’ preference is covered. Some of the slot games include; Twin Spins, A Dragon Story, Fruity Friends, Copy Cats, Dazzle Me, Magic Portals and Devine Fortune among others. The casino also offers an impressive list of table games offered by the best gaming providers like NetEnt among others, players get to enjoy these table games; Roulette Lounge, Jacks or Better and Blackjack Classic. The casino offers a modern way of enjoying casino games. The Video Poker games offered by the casino have 9 reels or 7 reels and 10 pay lines. The casino does not offer live dealer games at the moment. The casino offers new players a warm and attractive welcome bonus which has a 100% bonus on the first deposit from $20 to $50.  This bonus attracts a wagering requirement of 35x before cashing out. The bonus is activated the minute a player deposits the money in the account. The casino also offers players free games as a bonus. The free games bonus is only valid for a day and if the free spins are not used up within that day they are removed from the client’s account. These free games bonuses attract maximum winnings of up to $100 and a wagering requirement of 50x before withdrawals. The casino also offers players cash back bonuses on some games if they happen to lose a game. The cash back bonus is only payable when the promotion is over, the cash back bonus does not need any deposits to be made and the amount cannot be over $200. Keeping up with the latest information regarding promotions and bonuses offered by any casino is crucial to anyone looking to be a regular player. 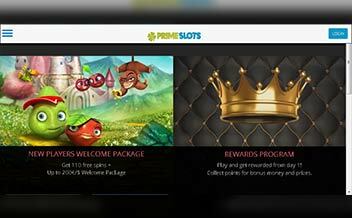 For this reason, we created this section to provide readers with the latest information about Prime Slots Casino. Keep visiting this section to stay up to date. The software providers have ensured that every player has the best gaming experience in the casino, having provided a vast list of online slots that have different kinds of themes to give a sense of adventure when gaming the casino is surely among the best online casinos. Some of the software providers include; NetEnt, Amaya Chartwell, and Neo Games among others. Deposit methods allowed include; Bank Wire transfer, EcoPayz, MasterCard, Neteller, GiroPay, Skrill, EntroPay, Click and Buy, Ideal, POLi, EPS, Ukash, Enter Cash, Trustly, Siru Mobile, Aktia, Visa, Boleto among others. Withdrawal methods include; Click and Buy, Neteller, instaDebit, EntroPay, Eco Card, Master Card, Skrill 1 tap, Aktia Bank among others. Antigua, Argentina, Albania, Bahamas, Bangladesh, Belarus, Bermuda, Belgium, Bhutan, Botswana, Bulgaria, Denmark, Cyprus, Cuba, Cameroon, Brunei, Croatia, Chile, Egypt, Estonia, Greece, France, Japan, Lebanon, Guinea, Haiti, Fiji, Lithuania, Macedonia, Jamaica, Mali, Nicaragua, South Africa, Nepal, Taiwan, Trinidad, Tobago, United States, Vietnam, Tajikistan, South Korea, Lesotho, El Salvador, Vatican City. 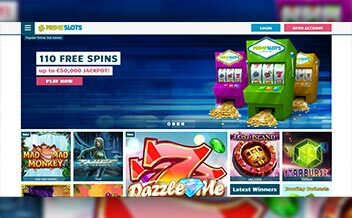 Prime Slots Casino is accessible on pcs, mobile phones and tablet devices. The software providers have ensured that the graphics and design of the casino are clear and impressive. The casino supports some of these browsers; Google Chrome, Opera Mini, and Mozilla among others. The web design of the casino is exceptional. Players get to easily access the casino games and other casino features as the casino page clearly show all these sections. The web page is user-friendly giving a pleasant and attractive first impression when you first visit the site. The casino uses the best encryption to enhance casino security. The players’ information and money are kept safe from hackers or getting into the wrong hands. The casino is licensed under the Malta, United Kingdom, and Italy jurisdictions. The casino has also been proven to be fair play. The casino offers the best customer support to ensure that every player’s queries are answered within a reasonable time frame. The casino’s clients get to access the customer support on telephone, email and live chat too. The casino’s customer support is available from 9 am to 1 am. Clients also get access to FAQ section on the casino website. The casino offers the best variety of online casino games; every slot player can be assured of the best gaming experience at Prime Slots Casino. The casino is surely adding more games, and more payment methods to cater for its ever-growing clientele. If you are an online gaming fan this casino will surely give you the best gaming experience.